This Brand provide Activation Key and Also provide Premium Service. There also provide additional External Service for Professional Web-designer, Graphic designer, Logo designer. Learn, Thinking, Explore & Do to fun Something new Everyday. 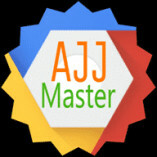 Well done ajjplay , thinkingfunda and AJJMaster Tech Solutions. You can use Yoast Premium WordPress plugin cheapest price INR149 only.